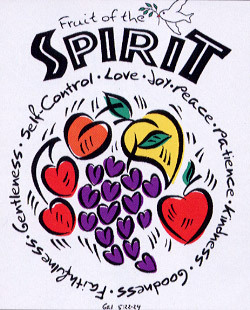 "Fruit of the Spirit. Gal 5:22-24" on a White tshirt (as shown). Heavy weight Hanes cotton shirts.